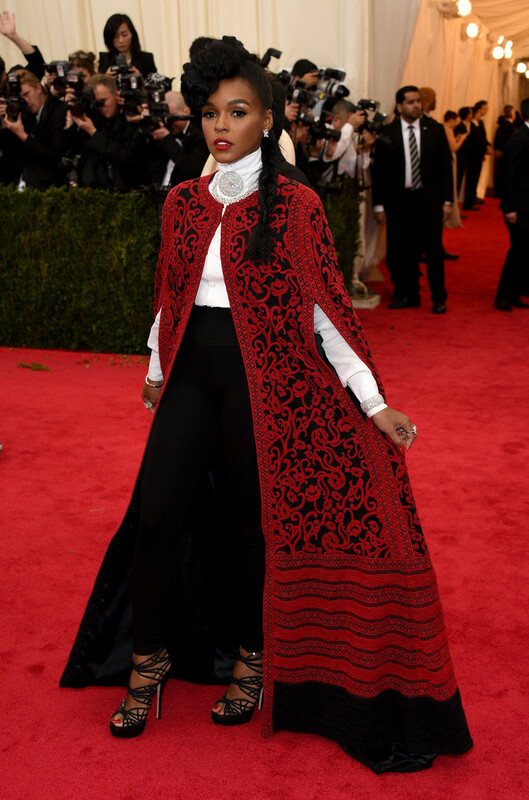 Janelle Monae added a splash of red to her signature black and white look, slipping on an embroidered cape in the fiery hue from Tadashi Shoji’s Fall 2014 collection at the 2014 Met Gala. She anchored her look with Jimmy Choo Damek Sandals. I loved the drama of this ensemble! 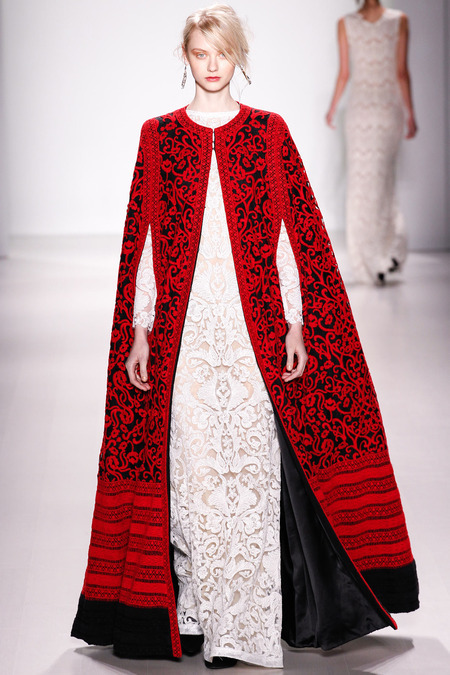 Visit www.tadashishoji.com and www.jimmychoo.com for more information and see Janelle’s cape on the runway below, worn by Nastya Kusakina.